Fantastic Two Bedroom 5th Floor City Centre Flat located in the popular Garnethill area sold with vacant possession. Do you have a Son or Daughter going to University after the summer? Fantastic location within walking distance of a variety of amenities including shops, restaurants, bars and cafes. Near to Universities and City Centre. Secure Entry System and well maintained building. Within walking distance of excellent transport links including Cowcaddens Underground Station, The M8 Motorway Network and just a short distance from Buchanan Bus Station and Glasgow Central. Lift and Secure Car Parking. 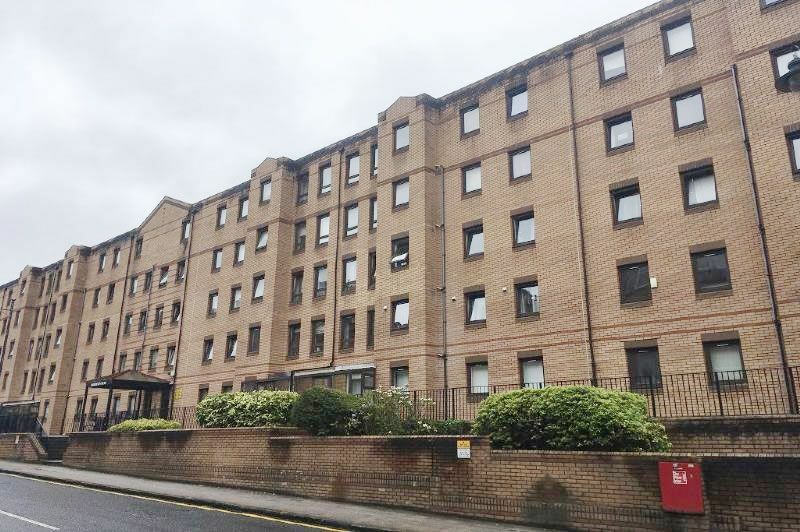 Fantastic Two Bedroom 5th Floor Apartment within the popular Dalhousie Court in Garnethill area of Glasgow City Centre currently being sold with tenant in situ currently paying �820 per month with car parking space currently rented out for an additional �80 per month. The Property Comprises: Reception Hallway with ample storage cupboards, Spacious lounge/dining area, Well fitted kitchen with ample range of units, Two double bedrooms and fitted bathroom with wc,whb and bath. The property further benefits from Electric Storage heating and double glazing. The location of the property on West Graham Street is particularly convenient with all the City Centre amenities on your doorstep. An array of shops, bars, restaurants all within walking distance. Glasgow Caledonian and Strathclyde University are all within minutes walking distance. For drivers access to the M8 & M74 motorway networks is close by at Charing Cross and easily accessible making it an ideal location for commuters. Public transport includes both bus and rail links to surrounding areas.